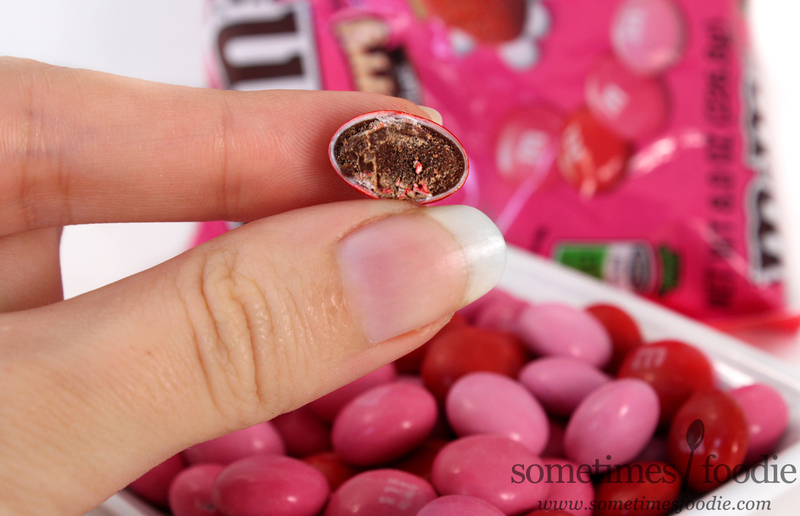 That's right, there's not one, but TWO exclusive strawberry-themed m&m's on the shelves. One for Target and this one for Walmart. Unlike the Target one, which used white chocolate, this one uses a milk chocolate base, and I'm not too sure how I feel about that. 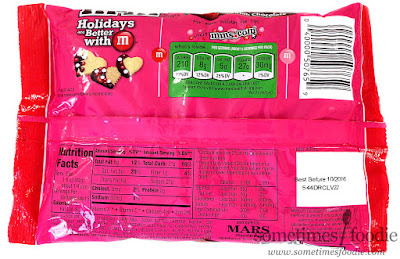 Normally I'm against it, because chocolate tends to overpower any of the other flavors that are mixed in, but years ago there were these Strawberried Peanut butter m&m's that were released as a promotional product for the Transformers movie (which made absolutely no sense), and I thought they were really cool but I never found them. I'm kind of hoping that this flavor will give me a little bit of the strawberry flavored snacking satisfaction that I missed out on. I feel like the packaging for this flavor is a little more creepy than the Strawberry Shortcake one, but it's mostly because of the mascot. 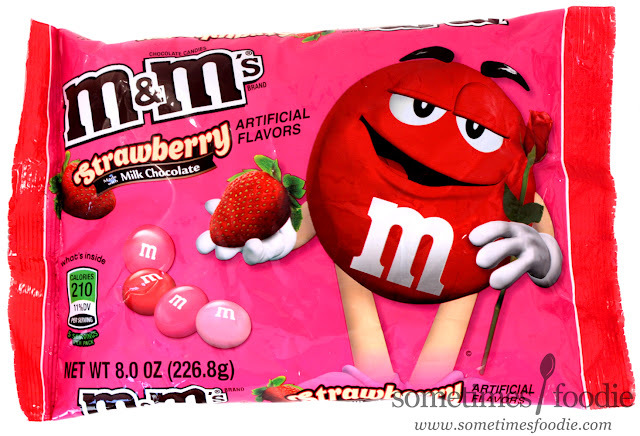 Just look at him, the Red m&m is giving me "bedroom eyes." Thanks, but no thanks little candy man. Other than that, the bag is pretty plain. It's a bright pink color with some scattered candies and strawberries. The layout fills the emptiness nicely, but I can't say this design is one of my favorites. Once opened, the candies inside are red with two shades of pink, and the they smell faintly fruity. This scent reminds me of something...but I can't quite put my finger on it. Maybe some kind of flavored lip balm I had in middle school? Or maybe a chocolate scented candle? It's kind of similar to the Dove promises, but the chocolate isn't as rich and sweet. I took a bite, and the strawberry flavoring was floral, not jammy like I had hoped, and the fruitiness isn't completely overpowered, but the chocolate part is definitely the star of the show. 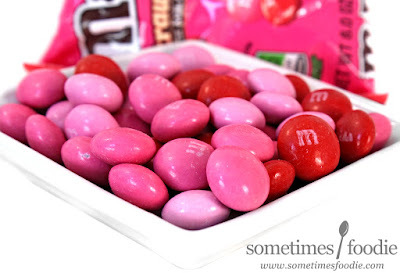 This has all the flavoring of a classic chocolate m&m that's been left in a candy dish with some strawberry flavored hard candies. I feel like I'm eating something old and stale, even though they're fresh. Something about this just doesn't work for me.